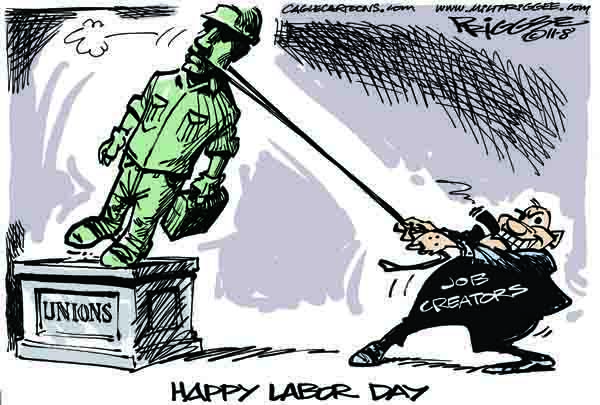 A sad time in America for Organized Labor…glad my 33 years as a Union Construction Worker is close to an end. I now make less per hour than I did 15 years ago…Management has gotten raises, personalized parking. So Milt, are you gloating on Labor getting our toppling?